Feuerstein Instrumental Enrichment (FIE) was devised after the second world war by Reuven Feuerstein, a child psychologist, while he was working with orphans who survived the holocaust. FIE is a school curriculum system which aims at enhancing the cognitive skills of pupils, especially those with special needs. Feuerstein believes that intelligence is modifiable and that it can grow if children learn how to think, FIE has been widely used in many countries. Children are asked to perform tasks following a set of rules, these tasks include problem solving and analytical thinking. FIE materials are organised into a series of 14 workbooks, called "instruments". The instruments are free of subject matters, they comprise paper and pencil tasks, and each instrument focuses on a specific cognitive function. The tasks gradually increase in difficulty level and abstraction. By using these tasks students develop strategies to solve problems which they can apply to life. Before children with learning difficulties can challenge their difficulties, they must be able to identify their cognitive weaknesses, they learn how to do this through an assessment tool called the "learning potential assessment device" or "LPAD". The teacher uses 10 instruments to assess the needs of a child: organisation of dots, complex figure drawing test, reversal test, diffuse attention test, positioning learning test, plateaux test, associative recall, word memory test, tri modal analogies representational stencil design test, numerical progressions, organiser. The LPAD provides information about the pupils' learning capacities and possible achievements. The idea is not to find out whether the pupils can perform a task and how well they do it, but to observe how they tackle the task, what kinds of instruction they need to understand it and to do it properly. The role of the students and teachers differs from those in conventional education in that the teaching sessions are very interactive, students are never passive, their participation is essential. While teachers in conventional education act as "facilitators", teachers who use the Feuerstein method are called "mediators" because they help their students learn how to think and they teach them how to learn. They assist the pupils by filtering the information and guiding them through exercises, they show them specific methods for interpreting information and problem-solving. The programme motivates pupils, it doesnt encourage competition. Mediators claim that FIE enhances academic success and that it reduces behaviour problems. The programme can be used in a classroom or for individual tuition. It is spread over a period of 2 or 3 years and is split in 3 levels. Generally children with learning difficulties and behavioural problems; a Braille version of Instrumental Enrichment is also available. 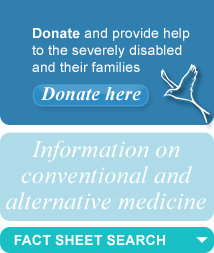 The Hope Charity is an educational charity for children with learning and developmental disabilities. The cost of the assessment is £350 and one session costs £25.